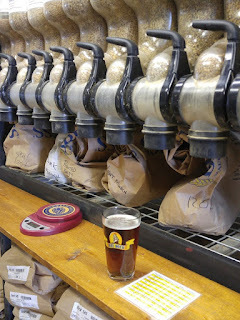 This time, however, all that yeast was used for the Dopplebock. With a planned ABV of 8.2%, this is by far the biggest lager I've ever brewed. I wanted to make sure I had enough lager yeast to do the job. 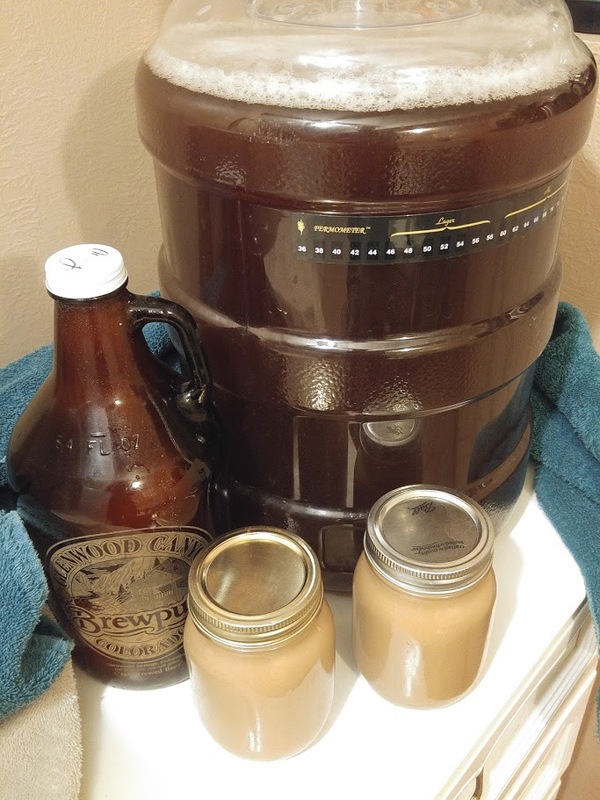 I harvested on Saturday and brewed on Sunday. 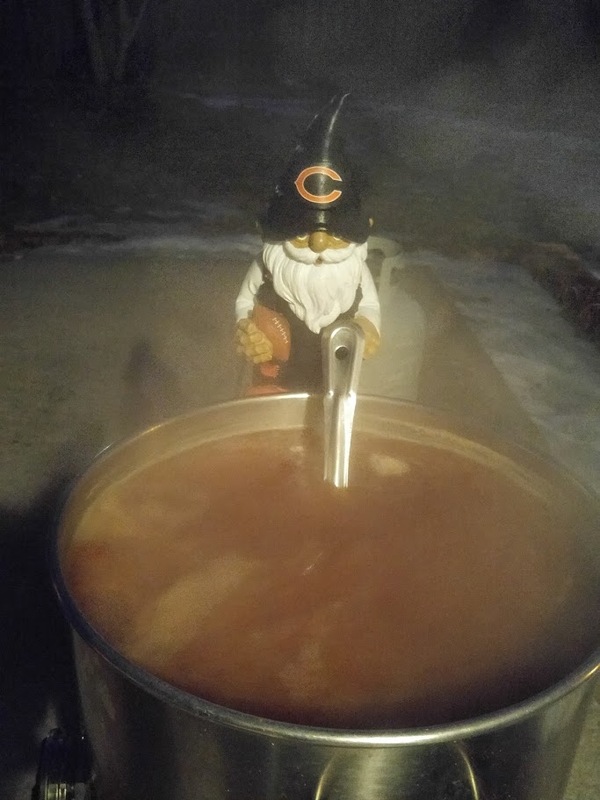 Brew day was a typical early-morning start. 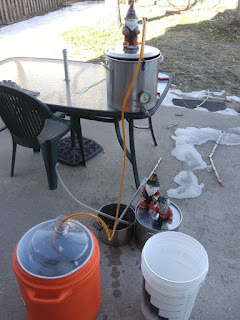 It was going to be a nice warm day, so I actually brewed outside, which doesn't always happen in the winter. I got to the right mash temperature pretty quickly. My pre-boil gravity was a bit low, but my volume was a little high. I boiled a little longer, getting my gravity to what I had planned before I started the timer. 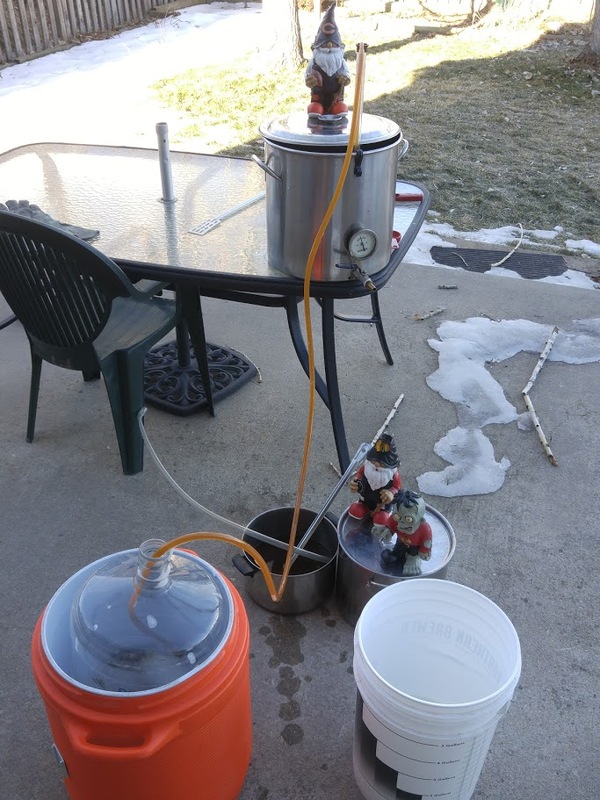 I got the wort chilled and into the fermentor before church. 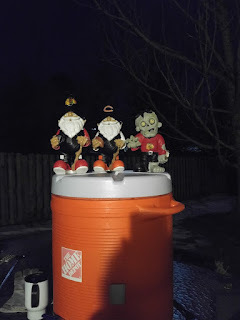 I used the ice bath in the gott cooler to get the temperature in the 40's. Then, I pitched all that yeast. The fermentation was well on its way when I woke up the next morning. I used a blow-off tube, but I never quite got any blow off. As far as I can tell, the fermentation went very well. 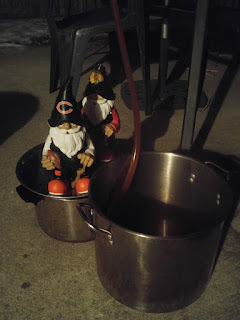 I have not taken a gravity reading since brew day, so I don't know for sure. Now, the fermentor will come out of the temperature control cooler. I'll let it stay in the fermentor until next weekend. I'll keg it then, but will let the keg stay at room temperature for a couple of weeks to do any more conditioning without being exposed to oxygen. After the warm conditioning, I'll chill the keg. I'll probably let it chill for another couple weeks. Then, I'll carbonate it up. I expect to have my first taste on about March 19th. This will be a beer that I plan to keep for several months. I probably won't finish the keg until 2017. So, I'll only be sampling it for awhile. SheppyBrew's Facebook Page;Sheppy's Twitter Feed; SheppyBrew's Website; and of course this Blog.